Welcome to my suburban backyard. This is the mini-woodland we planted almost 20 years ago. 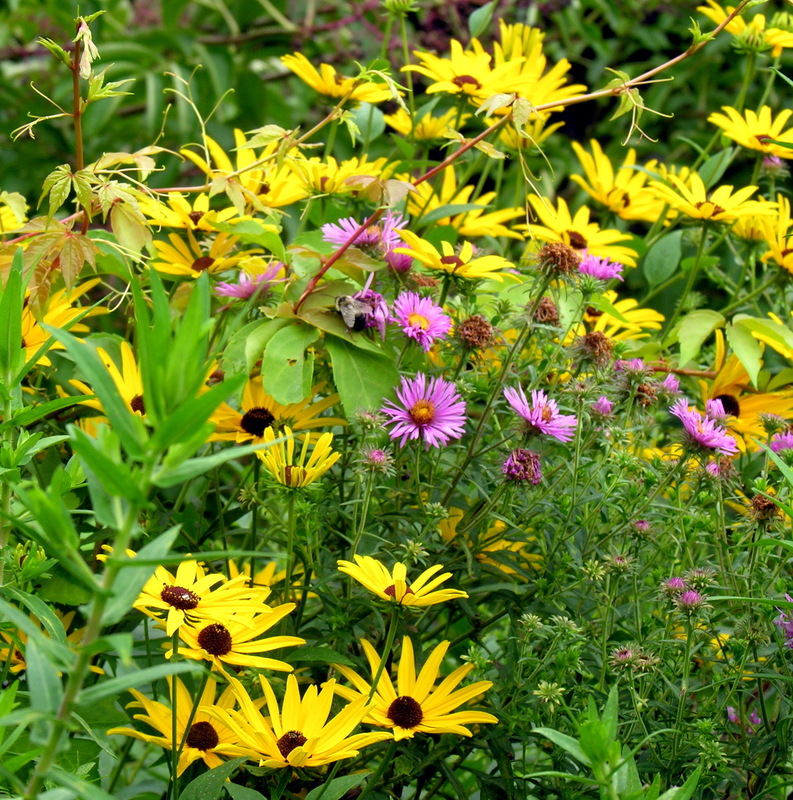 Part of a perennial garden—these are asters and black-eyed susans (Rudbeckia) in August. 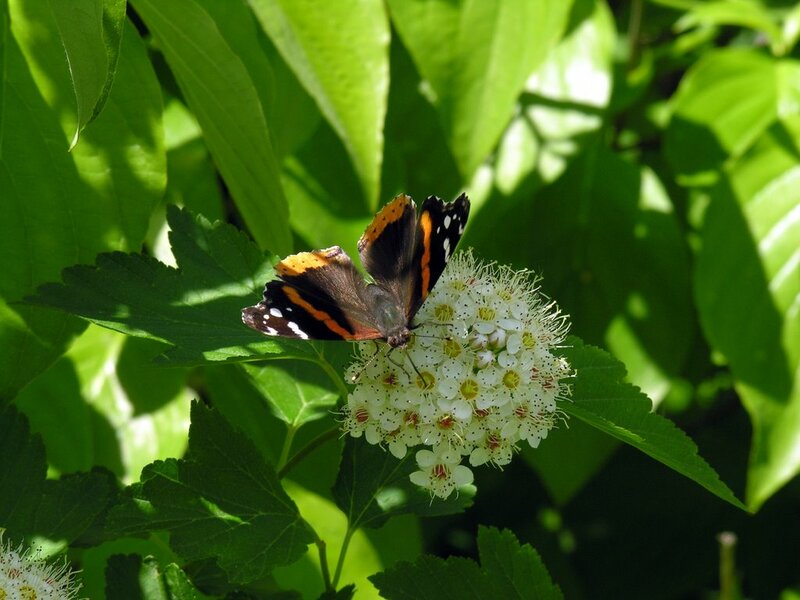 A red admiral butterfly on a ninebark flower in May. 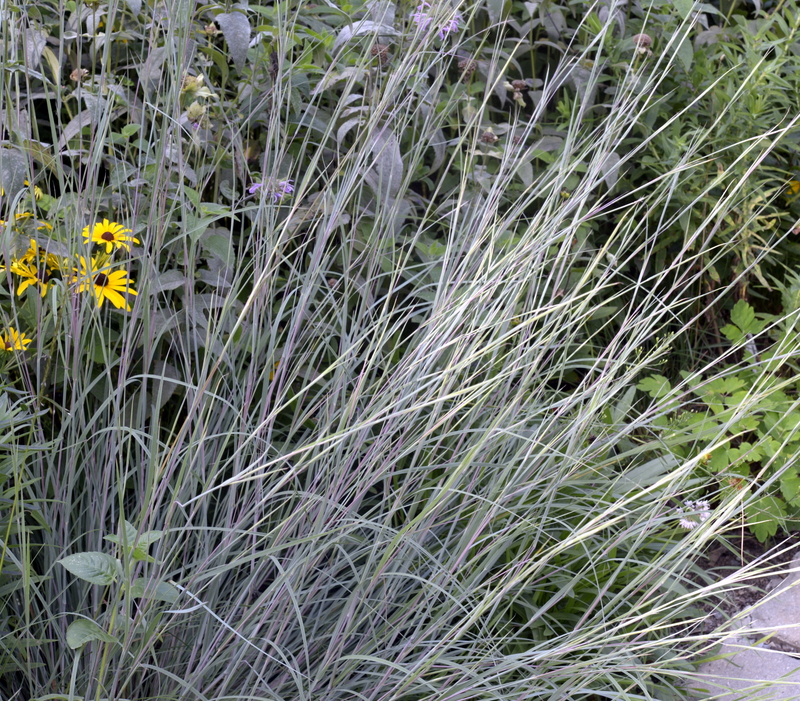 Little bluestem, one of the most beautiful of the native prairie grasses, in August. 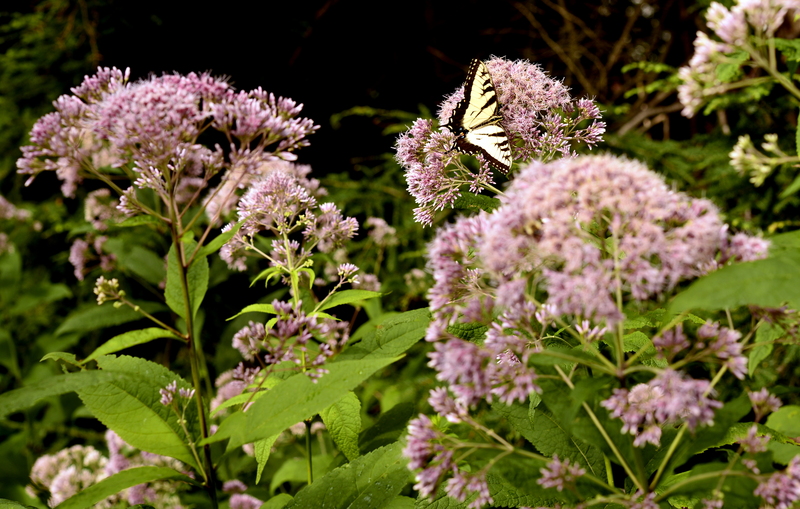 Sweet joe pye weed, a species that blooms enthusiastically in part shade, always attracts butterflies when it blooms in July and August. 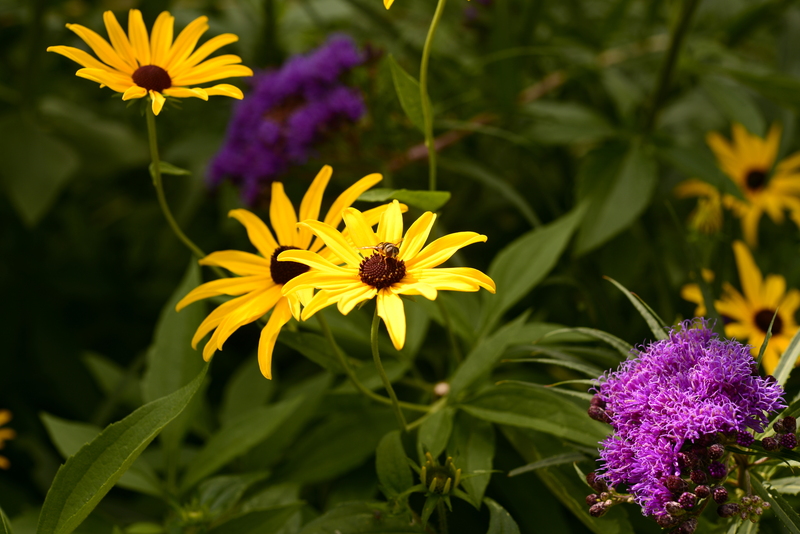 And Rudbeckia attracts bees to pollinate its flowers from July through September. 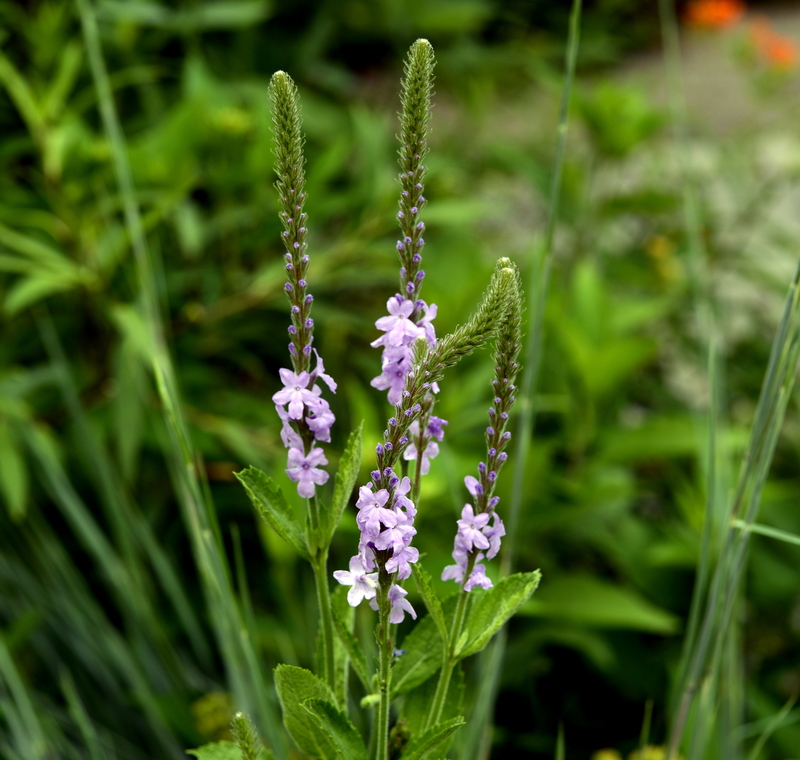 Hoary vervain produces its delicate flowers from mid July to mid August. 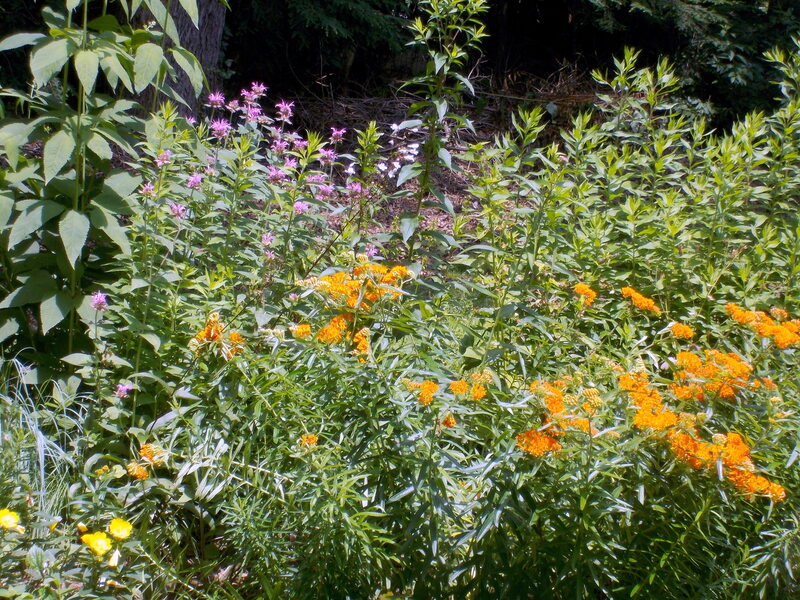 Orange butterflyweed is the star of the garden in June and July, accompanied by beebalm, also called bergamot or Monarda. 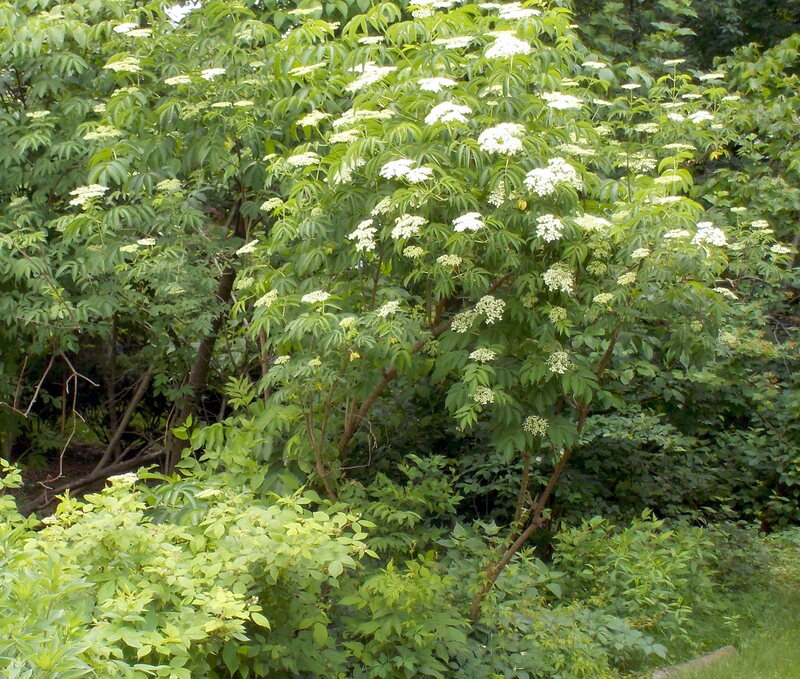 Elderberry in bloom is a delight to the senses. 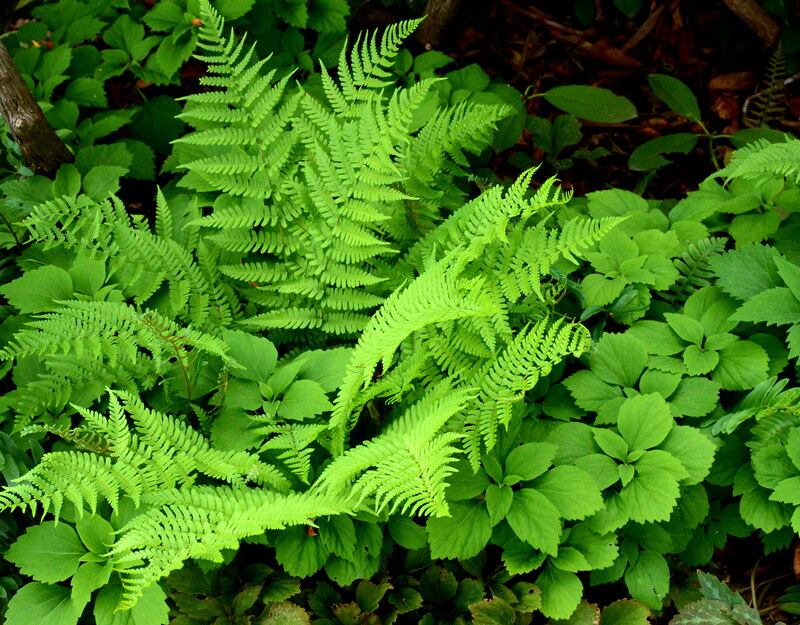 Native pachysandra mixes beautifully with ferns in dry shade. 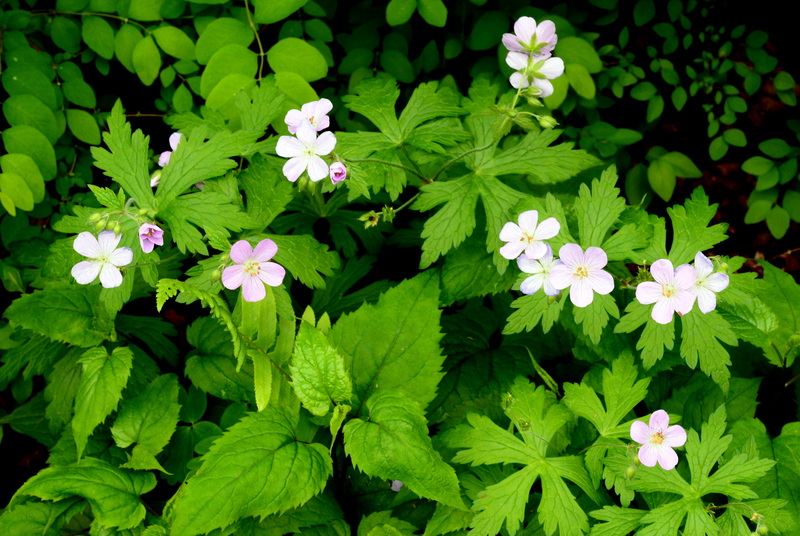 Native geraniums are spring ephemerals: they bloom in May and quickly disappear until the next spring. They thrive in dry shade. 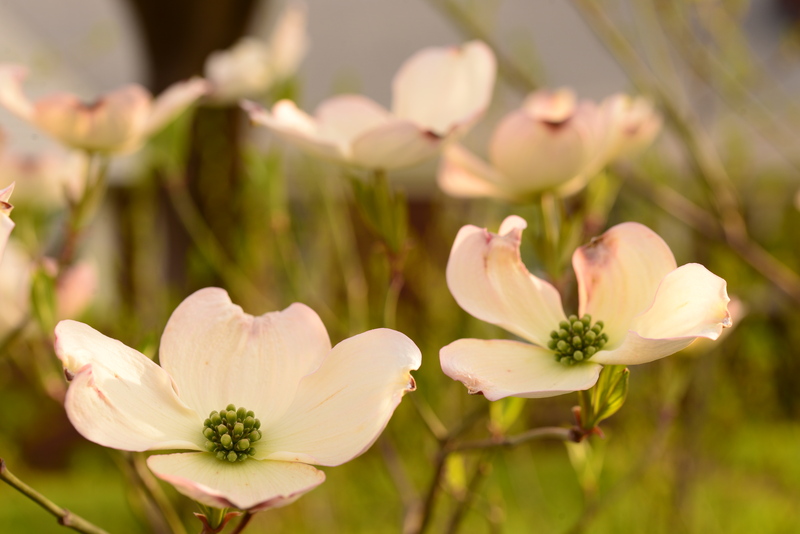 Flowering dogwood blooms exquisitely in spring. 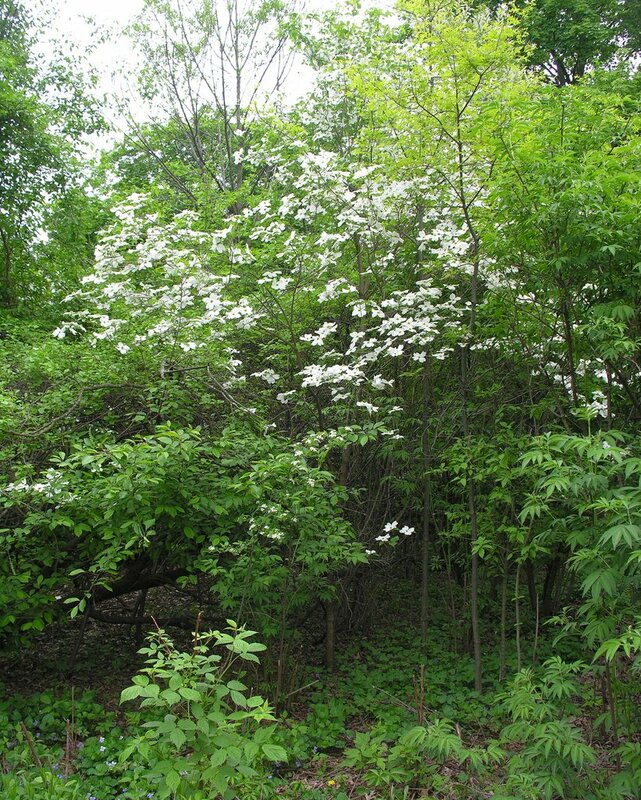 Like many understory trees, it prefers a shady site. 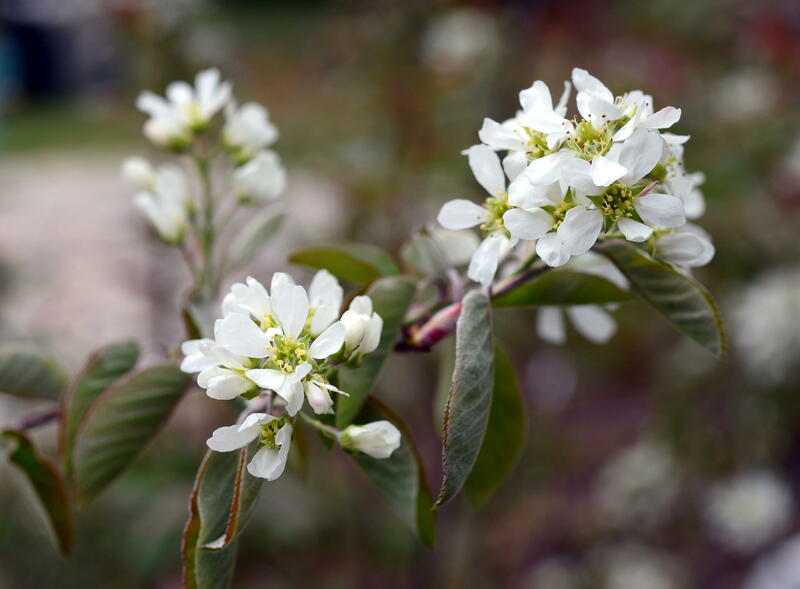 Who can resist the delicate flowers of serviceberry (Amelanchier) in early spring?